Our guide to Fireplace Tools offers detailed descriptions of companies such as SpitJack and The Fireplace and Chimney Store. A family-owned business based in Massachusetts for more than 50 years, this company makes its own fireplace cranes, wrought iron andirons, dutch oven doors, cleanout doors, grates, firebacks, iron hardware and more. A leading online retailer of stainless steel chimney liners for wood, gas and pellet stoves. The company also sells prefabricated fireplaces, woodstoves, and hearth accessories. 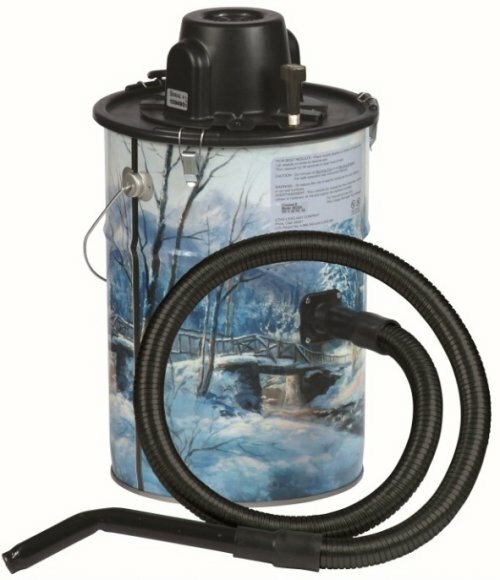 Rutland is a leading maker of maintenance and cleaning products for chimneys, fireplaces, woodstoves and other solid-fuel appliances. Its products range from chimney cleaning brushes to masonry cleaners and high-temperature silicon caulk. Located roughly in the middle of nowhere, about a half-hour north of Mt. Washington in New Hampshire, Shelburne Lighting is a family-run studio that offers hand-made brass, copper and wrought iron post lanterns, wall sconces, wall lanterns, chandeliers and other Colonial-style items ranging from candle holders to towel racks. 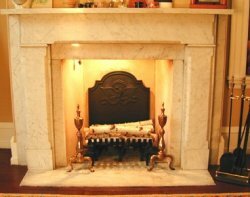 This online retailer sells a diverse line of wood and gas stoves; chimney caps and liners; fireplaces along with mantels, doors, screens; and most other items you'd associate with a traditional bricks-and-mortar hearth store. If you're wondering how to cook a whole hog, Spitjack has the answer. The company specializes in fire and food, with rotisseries and grills for outdoors, fireplaces and campsites. Online retailer of wood stoves, gas fireplaces, chimineas, gas logs, chimney caps, glass door sets and related products. Online retailer of a large array wood stoves, fireplaces, fireplace inserts, stove pipe, pellet vent pipe, chimney liners, fireplace screens and doors, firewood racks, holders and carriers, hearth heaters, gas logs, chimney caps and chimney brushes, fire starters, ash holders, log splitters, fireplace grates, fireplace tools and more. Virginia retailer carries a full line of reproduction Victorian fireplace tools and accessories, including gas inserts, coal baskets, mantels, fireplace surrounds, and cleaning products. Makers of fireplace andirons, screens, fenders, log bins and other fireplace furnishings since 1957. In Oregon, this salvage company has a warehouse filled with one-of-a-kind architectural materials, such as stained and beveled glass, lighting, marble and oak fireplace mantles, ornamental cast iron, cottage doors, clawfoot tubs, Victorian hardware and more. This online retailer offers an extensive selection of fireplace screens, grates, tools, andirons, grates and more. Hand-forged, 18th century style lighting and hardware; brass and porcelain hardware in traditional styles; plus a collection of traditionally styles machine-forged iron hardware. Since the early 1990s, this San Francisco shop has offered high-end custom metalwork -- with items ranging from custom stair railings to chairs. Today, besides its custom work, it also sells lines of furniture, lighting and hearth accessories. Duffney Cabinets began in a backyard garage in 1979 and has grown over the years into Acorn Millwork, a supplier of custom millwork, cabinetry and a long list of wood products. Species include Butternut, Knotty Pine, Oak, Ash, reclaimed Douglas Fir and others. The company's site includes a full price list of its products. Metal vacuum is built to handle ashes. Dress up a fireplace and increase efficiency.